Now that it’s darker earlier here in San Diego, outdoor lighting takes center stage if you often entertain on your deck or patio. Beyond entertaining, creating a dramatic landscape is much easier when good lighting’s involved. Of course, once you decide to amp up or revamp your outdoor lighting set-up, first you must have a plan, which means identifying the right lighting design for your space, the elements you’d like to illuminate, and what light options will make your vision a beautiful reality. Obviously, a well lit property discourages unsavory characters from lurking about your home. 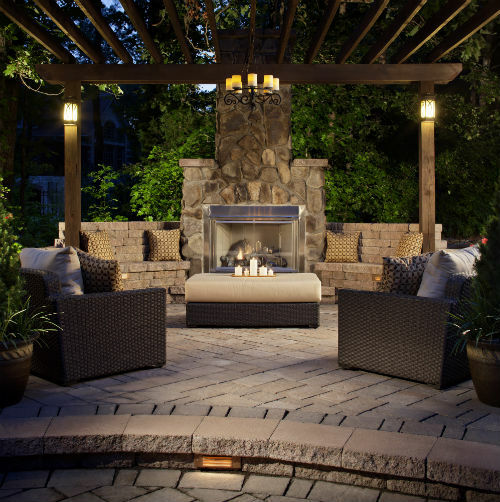 However, as important as adequate lighting is, the placement and type of outdoor lighting is especially crucial. For instance, although floodlights are powerful illuminators, unlit areas just outside the floodlights’ reach provide enough dark areas for intruders to hide. An ideal safety lighting strategy is to choose lower illumination options so the bright to dark contrast isn’t as hard for your eyes to process in a few important seconds. Plus, you’ll do better with broader lighting coverage as opposed to fewer areas of illumination brightened by the floodlights. If you do use flood lights – and they are right for certain applications – install them at least nine feet high so they can’t be easily knocked out. Safety lighting may sound the same as its security cousin, but it really refers to providing lighting around high-risk areas such as stairs, pools, and landscaped tripping hazards such as pebbled walkways. Again, you’ll want to avoid high brightness light sources because they can temporarily “blind” people walking your property and make them less able to see detail and obscure the darker areas around your property. As with security lighting, low brightness sources are preferable to high brightness options such as flood lights. You’ll also want to illuminate pathways, steps, water features and other elements to avoid any injury to people on your property, and adjust lighting based on the age of the occupants in your home and if those with disabilities visit often. If you have elderly occupants, for example, increased brightness is a benefit, as long as you stay out of “light bomb” territory populated with flood lights and other extremely bright lights. This type of lighting applies to those areas commonly used at night, such as decks, patios, tennis or basketball courts. The lighting of these “destinations” relies on usability and will be dictated by how each spot is utilized. For instance, broader coverage of sports courts are usually necessary and more sharply focused beams may be preferable for patios and docks. After considering the space and how it’s used, you’ll be able to select the best option. The ability to control illumination through dimmers and other fade features will also allow you to set moods depending on use. For example, a lower light setting can be promote a more romantic dinner tone as opposed to a higher setting for large groups and parties. This area of lighting is much more subjective than the other two, and really depends on personal preference and the features of your property you want illuminated. Perhaps you enjoy a sweeping “moonlight” look as opposed to targeted illumination of trees and water features, or maybe you like the look of twinkle lights affixed to patios and pagodas. Whatever your fancy, there’s something for everyone and every taste. Nearly all outdoor lights are available in solar models. As you probably already know, instead of using wiring, solar lighting uses a photocell to charge a NiCad battery when the sun is shining, and which illuminates using this energy at night. These options are just as they sound – low lights placed along sidewalks, driveways and other ground surface areas. Pathlights usually are provided to guide people from one area of your property to the next safely. 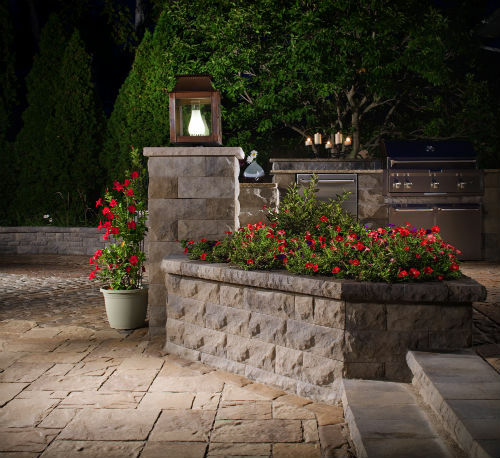 This type of landscape lighting also showcases plants, trees, and flowers. Small spotlights and well lights can also be used to highlight architectural highlights like columns and statues. Many path lights are available in solar-powered options for energy efficiency. These lights are placed behind objects such as garden statues or shrubs to cast silhouettes. This type of outdoor lighting is located at ground level and set to point up at certain elements in your yard to create focal points. This style of light is placed high and aimed downward. Downlights often simulate natural light and are used for security as well. Used used on decks or porches to illuminate steps, posts and railings, these options are also used on to cast light on walkways. This light type includes everything from flood lights to front and back door lights. This style is a catchall for lights that add ambiance such as torches, underwater lights, string lights, and post lights. After you select the type of outdoor lighting you need and want, which will most likely be a mix of all types, you can choose from tiered, recessed, sconce, box, or scoop styles. Different techniques such as spotlighting, silhouetting and shadowing can also be accomplished based on what you want lit and why. As you place your lighting sources to illuminate the areas you want lit, don’t forget to take your neighbors into account as well as your visitors. Avoid harsh lights placed at eye level for instance and any placement that shines into your neighbors’ windows. When considering lighting placement and options, you’ll want to go for a cohesive design. This means that key landscape and architectural elements should be illuminated in a way that reveals the parts you want highlighted (treetops or tree trunks?) and more broadly, draws the viewer’s eyes across your property in a way that makes visual sense. For instance, you don’t want one corner of your yard lit with the other corners dark. The best way to explain depth is to say it’s a three-dimensional view of your property. You don’t want to just illuminate your house, for instance, and leave your landscaped features dark. This lends itself to a bleak picture where your yard is reduced to just a building and not the rich expanse that surrounds it. What mood are you hoping to create? Soft and mysterious? Dramatic? Your answers determine the lighting techniques used (uplighting, etc. ), brightness levels, and lighting placement. Glaring, exceedingly bright light wouldn’t be used in a dining area because that level of illumination is hard on the eyes. 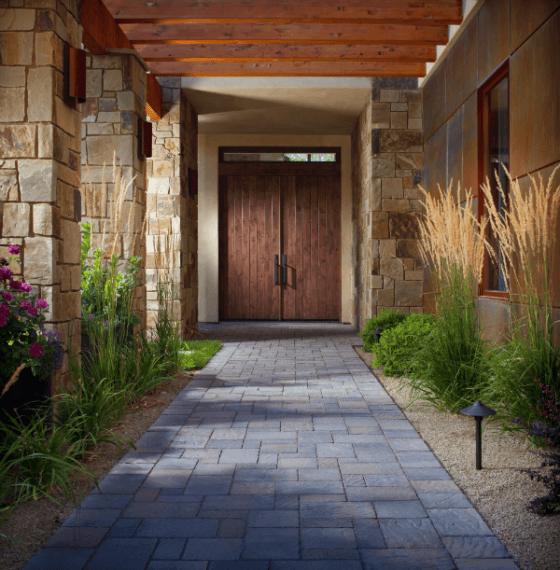 For all areas of your landscape, consider the effect you want it to have on the viewer and how the space is used. Energy-efficient features such as timers and motion sensors ensure that you use your outdoor lighting when you want and need it. Photo sensors will also enable outdoor lights to turn on at dark and shut off at dawn. Mark walkways with well placed lights that leads visitors to your home, but avoid a “runway” vibe with a lot of lights placed close together. You don’t want to outline, you want to highlight. Also, choose soft fixtures that direct most of the light downward and don’t blind your visitors. Try a variety of lighting techniques including spotlighting, moonlighting, and silhouetting to get a dynamic look that’s not uniform and boring. Most likely, after you consider security, you are going for a “pretty,” visually appealing look and nothing kills that faster than everything looking the same. Outdoor lighting experts recommend using warm light on manmade objects and cool light on plants. Over lighting happens all the time and is both unattractive and expensive. Some well chosen lights to create ambiance are much better than overwhelming your space with too much light. Leave something to the imagination. 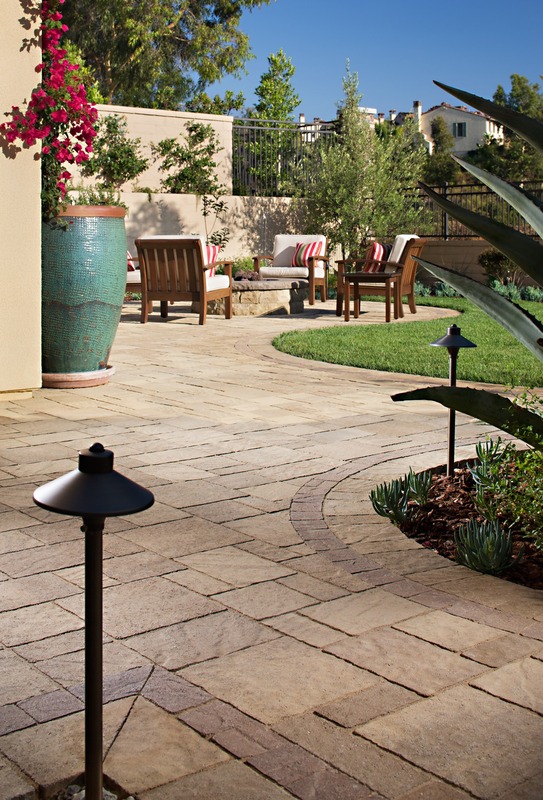 What’s your favorite outdoor lighting look?